There comes a point in the summer when you’re simply sick of tomatoes. Sadly, our garden hasn’t measured up this year and we haven’t reached that moment. So we…gulp…bought a big bag of tomatoes at the farmer’s market yesterday @ $2/lb to take advantage of someone else’s bounty. Why? Because I got hooked last summer on this recipe. Honey Tomato Jam is a great savory spread for almost anything. Smear it on a burger bun. Put out some goat cheese and crackers with this jam and it’ll disappear. The honey and ginger and citrus and spices pack a punch. Or do what I did last year: Buy some pretty 8-oz. containers and distribute to your friends. Mine brought back to the containers, likely in hope of a repeat performance this year! Combine everything in a low, wide, non-reactive pot. Bring to a boil over high heat and then reduce to medium high. Cook the jam at a low boil until it reduces to a sticky thick jam, stirring regularly. This will take 1-2 hours, depending on the juiciness of the tomatoes. Watch carefully at the end so it doesn’t scorch. When no more liquid surfaces, take the pot off the heat and stir for 2-3 minutes to achieve maximum jamminess. At this point, you can put up the jam in a water bath so it’ll keep into the winter. Or put it into aforementioned containers, refrigerate, and dole out to friends. Fills six 8-ounce containers. If I had to strip my garden to one item, it would be the tomato. I am stupid in love with tomatoes, and am counting the days for the first heavenly bite of garden-grown fruit. But one must be patient – 60 days for the Juliet, 80 days for the Brandywine, etc. I rely on tomato tips from Mike McGrath, the “Garden Guru” whose wit and humor enliven local news station WTOP. McGrath calls tomatoes the “drama queens of the garden” and “the gateway drug of gardening.” I agree. From him, we learned that crushed egg shells provide calcium to grow sturdy stems so the branches can stand up to the heavy tomato fruit. We dutifully collect egg shells for months before we plant, and then crush them into the soil. McGrath recommends a dozen egg shells per hole. We also enrich the soil with rich worm castings (aka worm poop) from CRR’s vast composting enterprise. Do not tread unnecessarily on the ground around your tomatoes because you are compacting the roots which need to spread underground for maximum fruit. Do not plant your tomatoes in the same spot every year. 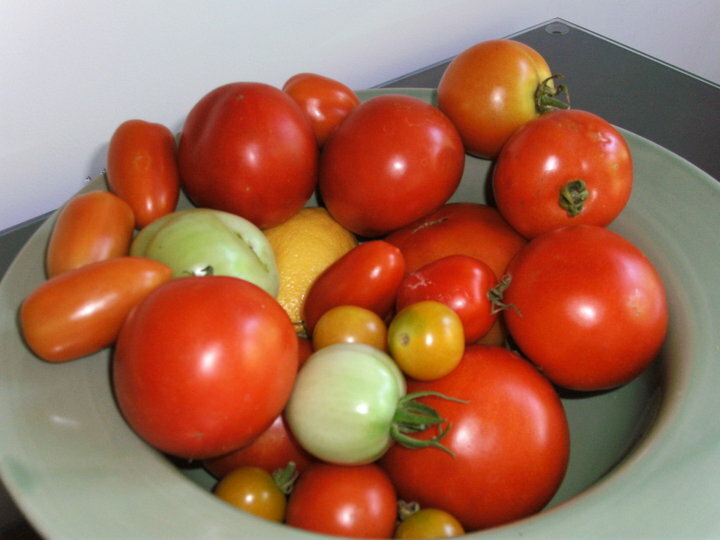 Crop rotation will prevent verticillium, a disease that will kill your tomatoes. Never prune the suckers that grow from every tomato plant because every green leaf provides nutrient to the fruit. “Only suckers cut the suckers,” he says. 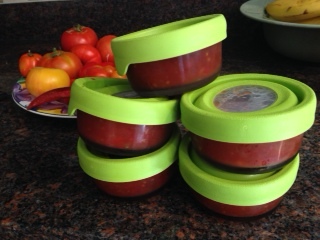 Ouch – I sheepishly discard one of my own tomato-growing practices.